I mean the very first song was horrendous, I didn't need 23 other iterations of it to be completly sure it was garbage. but how does one go through this? brain dead music for brain dead americans. On one hand it's rather remarkable how much they've got their shtick down to a science, on the other their ability to incessantly churn it out is extinguished by mindless+egregious excess. 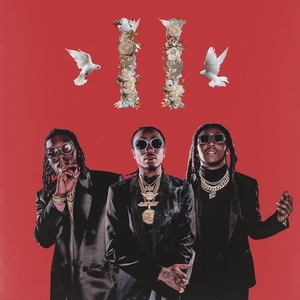 No one needs a hundred-plus minutes of Migos, and the handful of slight standouts ain't worth the slog -- this is quintessential quantity over quality; an adequate autopilot mass meant to manipulate streaming platforms and bound to wallow in the background. Given the infinite mentions of the ice they're rockin' and infatuation with further broadening their bank accounts, no shame in the ol illegal download with this one.